Multiple media outlets have reported that two explosions have rocked the finish line of the Boston Marathon. Multiple media outlets have reported that two explosions have rocked the finish line of the Boston Marathon. The NYTimes reports that when the explosions happened, several thousand runners were still on the race course. At press time, 2 people were dead and 22 injured. My thoughts are with the participants and volunteers of the race as well as the first responders who fearlessly run into the line of danger for our safety. We musicians, like everyone else, are numb with sorrow at this murder, and with rage at the senselessness of the crime. But this sorrow and rage will not inflame us to seek retribution; rather they will inflame our art. Our music will never again be quite the same. 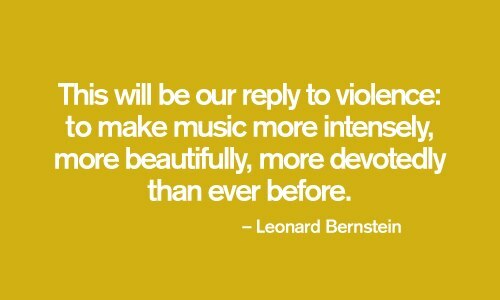 This will be our reply to violence: to make music more intensely, more beautifully, more devotedly than ever before.